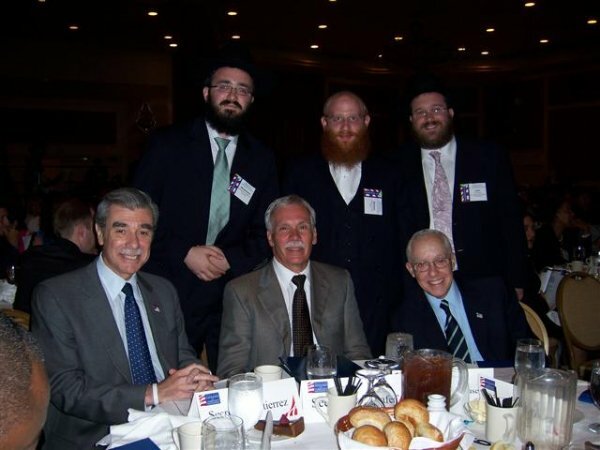 Rabbi Mendy Carlebach, the Shaliach-emissary of the Lubavitcher Rebbe to South Brunswick, N.J., was one of three Chabad delegates at the White House Conference for Faith Based Community Initiatives. The Conference took place for two days and was attended by over one thousand community leaders from across America. 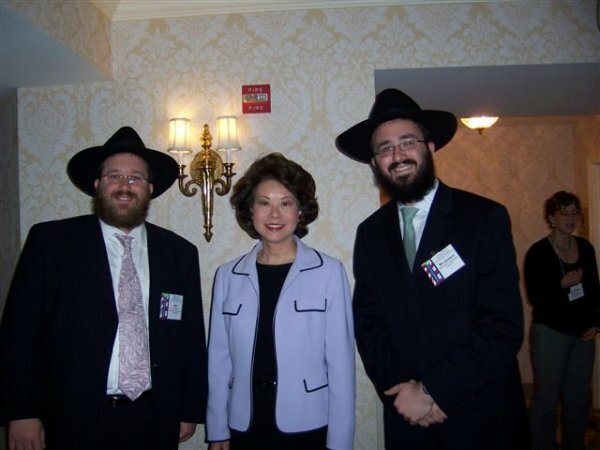 During the Conference, the Chabad Rabbis had meetings with a number of the President's Cabinet, including Secretary of Commerce Carlos Gutierrez, Secretary of Labor Elaine Chao, Secretary of Agriculture Ed Shaffer, and Attorney General Michael Mukasey. 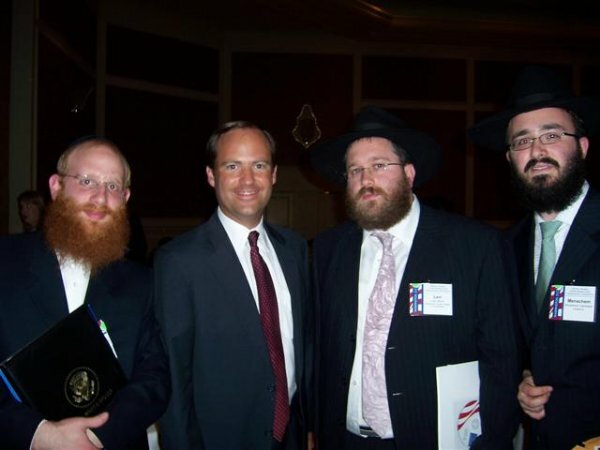 The Attorney General remarked that he had visited numerous Chabad institutions, and had great regard for the work accomplished by the men and women of the Chabad Movement. 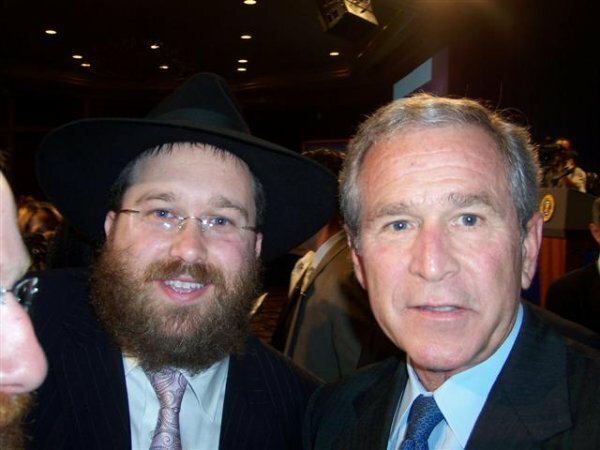 The Chabad Rabbis also met with President George W. Bush, who thanked the rabbis for their educational programs and activities that benefit the youth across the USA. 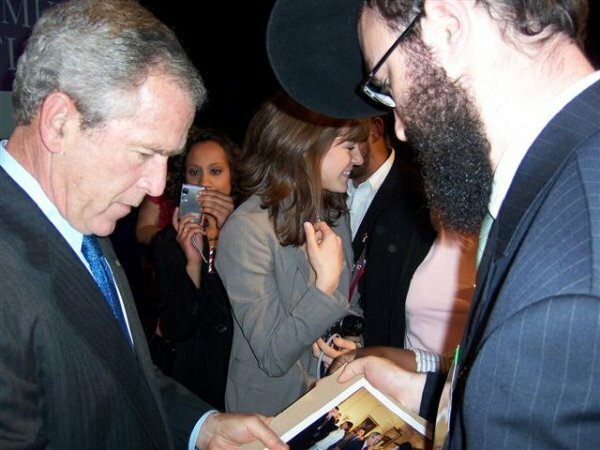 Rabbi Carlebach remarked, " I was amazed to see the recognition given by the political leaders of this great country.. I am certain and confident that all our work will grow in quantity and quality, thus bringing the beauty, love, and inspiration of our Torah and Mitzvot to all young men and women in our communities." On the return trip from Washington, D.C., to New Jersey, the Rabbis met a bus-load of student volunteers from the pro-Israel group ZOA. The Rabbis spoke to the students, and over 30 students put on Tefillin, several for the first time in their life. A student commented, "In the merit of the good work you do, I am honored to join you in a Mitzvah. May all our combined efforts bring an abundance of blessing from G-d, to a world so in need."